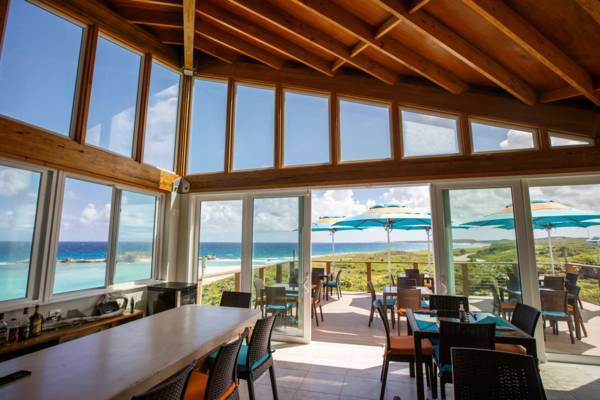 The deck overlooking scenic Dragon Cay, Mudjin Harbour, Middle Caicos. Mudjin Bar and Grill at Blue Horizon Resort is open daily from 11:00-16:00 for lunch and for dinner by reservation. Experience our signature lemon-herb French fries, fresh local seafood and our famous jerk burger while enjoying the stunning view from our deck overlooking Mudjin Harbor. Mudjin Bar & Grill offers both interior and exterior dining.